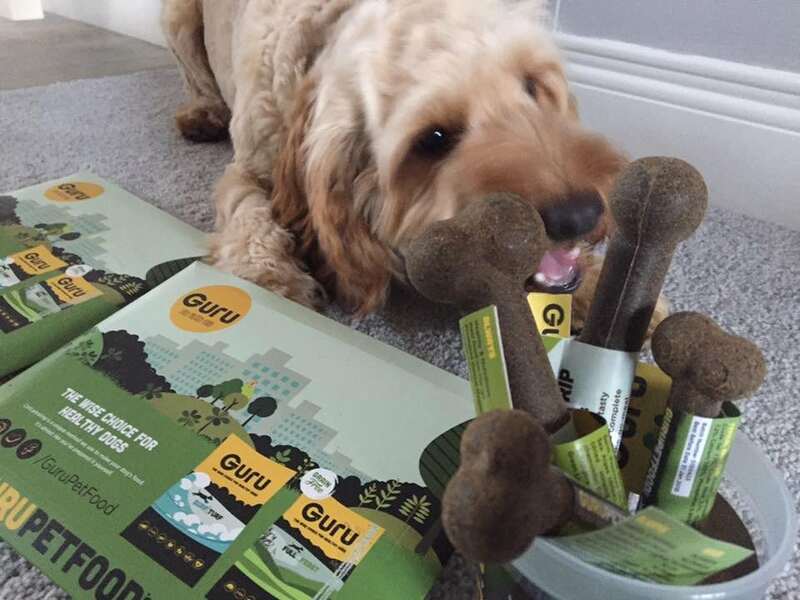 The lovely Lisa over at Guru Pet Food contacted us to see if Rex would like to try some of their cold pressed dog food and their ever so popular Trip bones. We tend to give Rex a very simple diet as he tends to get a sensitive stomach if we start chopping and changing things around too much. Treats are generally a minimal thing and used more as training aids or to keep him busy if we have housework and other jobs we need to do. Rex is happy to lay and munch his way through a tasty treat. Lisa kindly sent Rex some samples of their Surf and Turf cold pressed dog food which is hypoallergenic to try and see what he thinks. We opted for sample packs just in case it wasn’t for Rex as I didn’t want to waste a whole bag of great quality dog food. Rex would do pretty much anything for a treat so I have been introducing this Surf and Turf mix which contains Beef, Sea Fish and Vegetables. All of which have been cold pressed to ensure all of the nutrients stays within the food and isn’t taken away in the cooking process. This method benefits your dog massively by allowing them to gain all the goodness from the ingredients which will help the flavour and overall all benefits of a balanced diet. The food is the perfect bite sized pieces which fit in our training bag perfectly and as Rex normally has his chicken dry food he is enjoying a change in flavour. This cold pressed food is also Hypoallergenic which is perfect for dogs who have stomach problems. We are yet to try the grain free recipe which is the Full On Feast which contains Duck, Sea Fish and Vegetables. This cold pressed pet food is also hypoallergenic and contains all the goodness as the Surf and Turf so I’m sure Rex will only have good things to report once he tries this. Along with the sample packs Rex also received some Trip Bones which are meals in a bone !!! 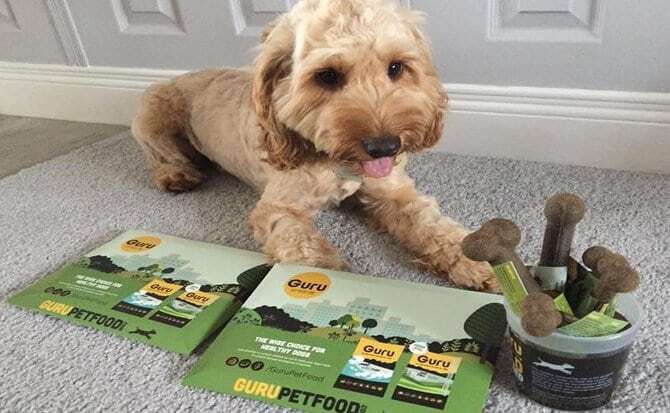 I am a lover of this product and think it is a Pawesome idea for when you are out for the day with your dogs, you don’t really want to be bringing all the bowls and bags of dog food out with you. This Trip Bone just fits nicely in a treat bag or coat pocket. The smaller bones are a meal for a 4kg dog and the larger bones are a meal for a 10kg dog. Rex has had a couple of the small bones which he seemed to tuck in to no problem at all. They also promote dental hygiene and joint supplements which is perfect for active dogs. They again are cold pressed and hypoallergenic. They contain Chicken and brown rice along with salmon oil, egg yolk and Green Lipped Mussels. The last ingredient, along with the chicken, sold this product for me as they are two key ingredients that are in Rex’s current food, so I knew he would jump at the chance at getting his teeth in to these and I was right!